I have shared the recipe for panpolo few months back which you can check here. The recipe below is without using any coconut. Yes, this is version 2 of panpolos, with NO COCONUT which was shared by my friend VNS on a food group. A preferred option for people who would look or are advised for no coconut consumption in their diet. 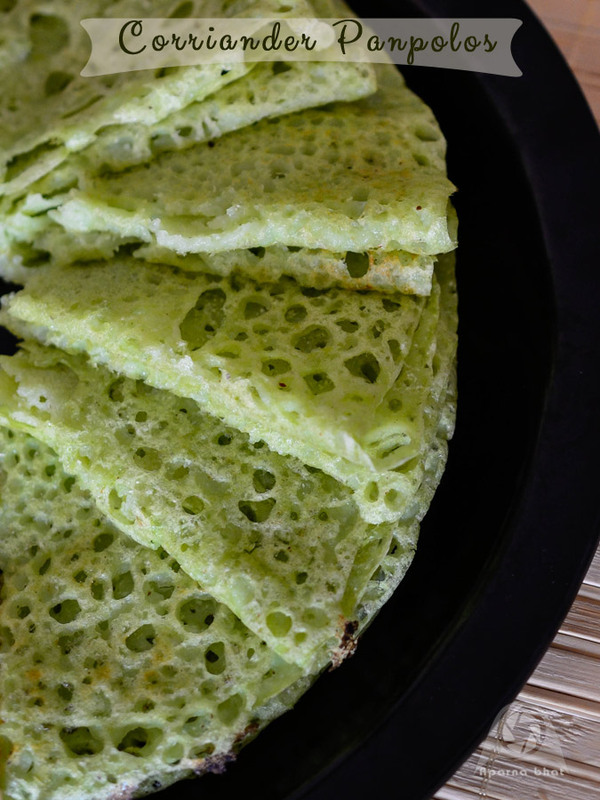 I have read about crispier neer dosas been made by tuluvers and kannadigas without the use of coconut, so my understanding was that we need to include coconut to bring in that softness while preparing these dosas. It was when VNS posted a photo titled "panpolo with a twist" that caught my attention. After checking her post realized she had prepared them with rice, poha and NO COCONUT. 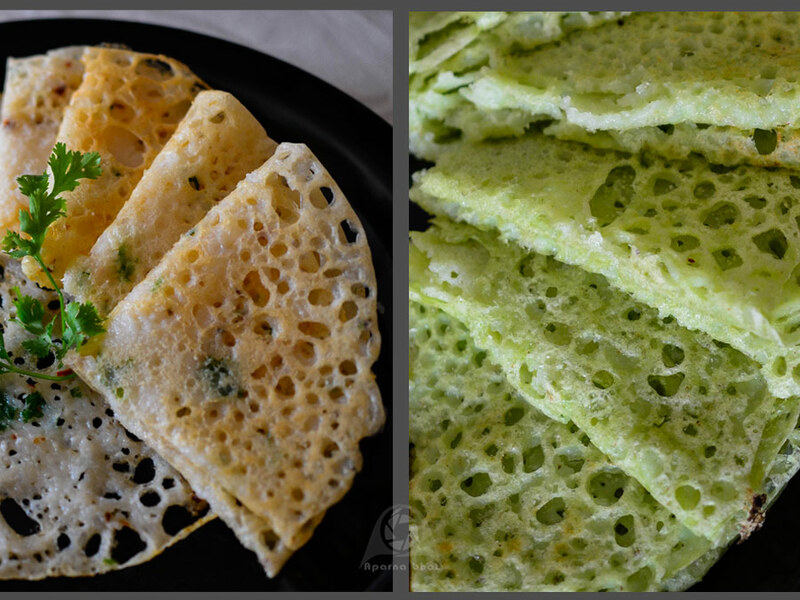 The dosas looked perfect, so I immediately bookmarked her recipe and decided to give it a try. Her recipe has been adapted to prepare COLORFUL PANPOLOS as you see in method and photos below. Wash, clean and soak dosa rice for 4-6 hours. Just before grinding wash the poha and soak it in water for 10 mins. Drain the water. Grind rice with little water. Add the soaked poha, tomato puree and grind it to a very smooth paste. Transfer the paste to a vessel and add enough water to make the batter of pouring consistency. Add red chilli flakes, cumin seeds [ you can add them while grinding too if not directly] finely chopped coriander leaves and salt to taste. Keep the batter aside. 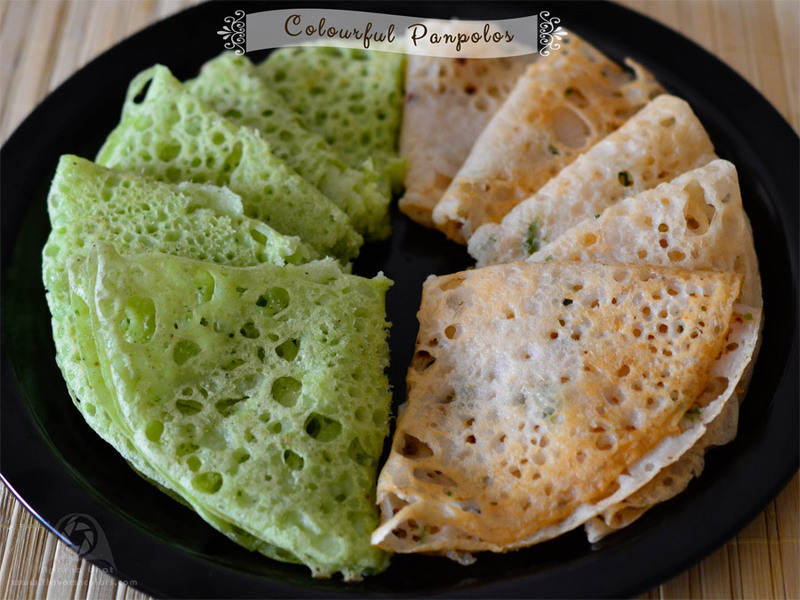 Now prepare the batter for green color dosas. Grind rice, poha, coriander leaves and green chilli with little water to a smooth paste. Add water to make it of pouring consistency. 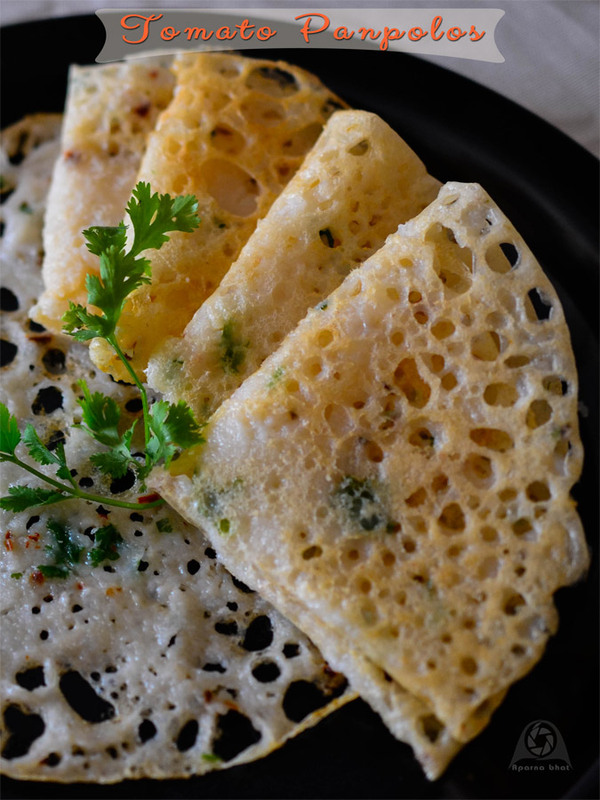 You may add beetroot puree, carrot puree, palak puree as per availability of the veggies to make this dosa colorful, flavourful and healthy. these panpolos definitely look super. nice and colourful wow!